Peter Farrelly—one half of the brotherly duo responsible for such goofy, gross-out comedies as Dumb and Dumber and There’s Something About Mary—reverses course 180 degrees with this seriocomic period piece that is both moving and funny by turns. It is 1962 New York, and erudite African-American classical pianist Dr Don Shirley (Moonlight’s Mahershala Ali) is about to embark on a concert tour that will take him into the heart of the racist South. 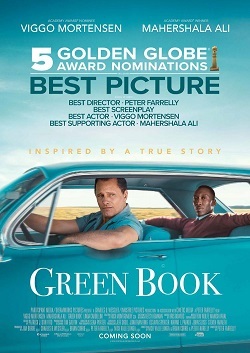 Enter Tony ‘the Lip’ Vallelonga (Viggo Mortensen), a tough Italian-American bouncer who takes on the job of Shirley’s driver—and protector… Both Mortensen and Ali shine in this odd-couple pairing, and Farrelly’s sensitive direction shows that, despite being set almost 60 years ago, Green Book (the title refers to a guide to venues in the South that were safe for African-Americans) has much to say about the America of here and now. 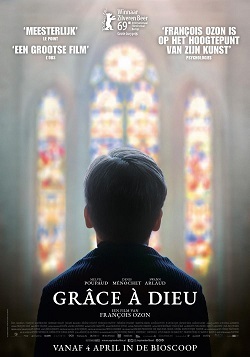 The film won the Audience Award for most popular film at the 2018 Toronto International Film Frestival. Underneath the light-hearted surface, Philippe de Chauveron’s smart film asks some serious questions about French identity and what it means to be French today. 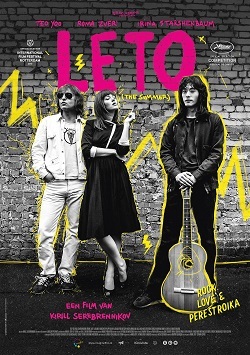 His film is on the pulse of modern France while remaining a thoroughly engaging and entertaining work. Director Annemarie Jacir moves to the forefront of Palestinian filmmaking with this alternately moving and dryly funny dissection of the clash between modernity and tradition in Nazareth’s Palestinian community. Traditional father and hipster son Mohammad and Saleh (played perfectly by real-life father-and-son duo Mohammad and Saleh Bakri) are on a mission to hand-deliver the wedding invitations for Saleh’s sister’s wedding to friends and family throughout Nazareth. This is considered a traditional duty (wajib), and it allows Jacir to craft a zeitgeist film full of insight into the daily tensions and generational conflicts faced by Palestinians today. But it also allows for Jacir’s sense of humour to come to the fore—that the wedding invitations have been printed with the wrong date is just one slyly funny mix-up. 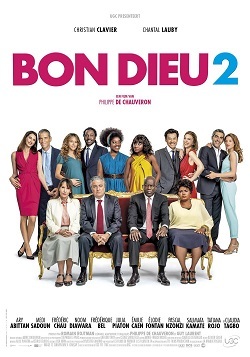 The combination of politics and humour makes for an utterly winning film. When Britain’s Imperial War Museum offered Peter Jackson (The Lord of the Rings trilogy) the chance to work with the WWI film footage it had in its collection, Jackson had the inspired idea to slow the footage down to a realistic pace (gone is the herky-jerky movement we associate with silent film), colourise it, add a soundtrack—and convert the footage into 3D. 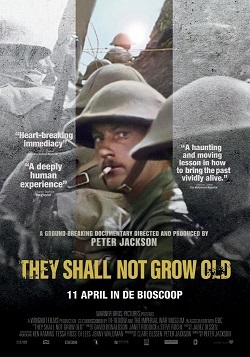 The result is nothing short of spectacular, as 100-year-old images—chronicling the start of the war, basic training, trench fighting, and the eventual return home, all accompanied by real soldiers’ voiceover reminiscences—take on an immediacy and a profound emotional depth that cannot fail to move even the most jaded of cinemagoers. This is ‘event cinema’ of the richest kind. Featuring some of the best French-language actors currently working—among them Mathieu Amalric, Guillaume Canet, Benoît Poelvoorde, and Jean-Hughes Anglade—actor-turned-director Gilles Lellouche’s feel-good comedy brings together a very mixed assortment of down-in-the-mouth middle-aged men who look to turn around their depressed lives by… forming an all-male synchronized swimming team (!) Under the tutelage of a pair of no-nonsense female trainers (Virginie Efira and Leïla Bekhti, both excellent), these sad-sacks slowly come together, amidst a sea of sight gags and verbal comedic jousting. 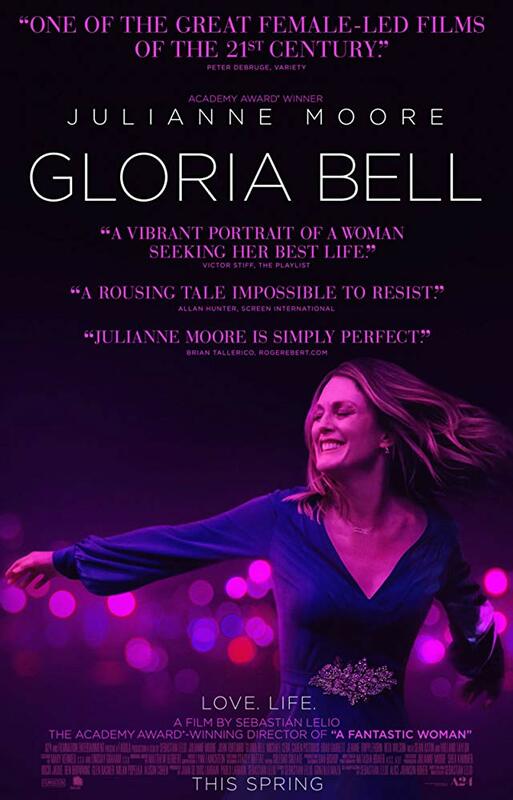 Comparisons to The Full Monty are apt—both films share an abundance of heart and good intentions. 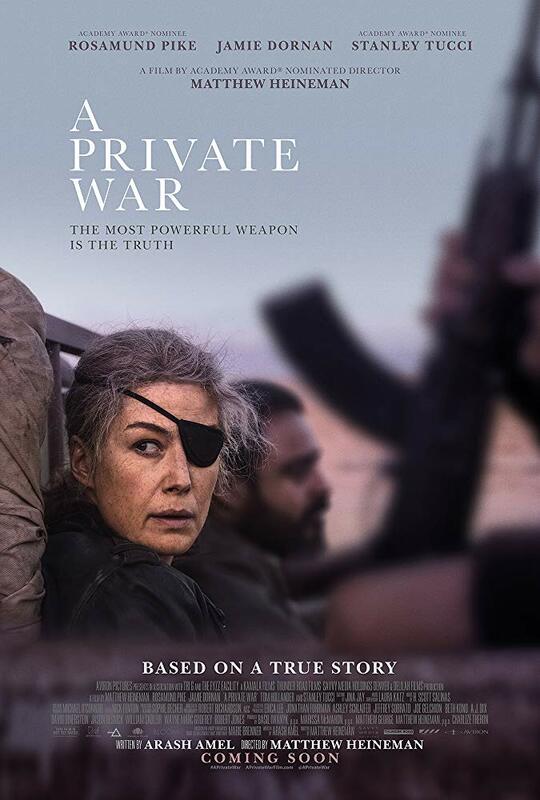 Rosamund Pike (Gone Girl) excels in the role of celebrated real-life war correspondent and notorious risk-taker Marie Colvin, whose risky forays into the most dangerous of battle zones made her an international star before leading to her tragic death. Pike digs deep to uncover the mixed motivations that drove Colvin while director Matthew Heineman (Best Documentary Oscar nominee for Cartel Land) brings a gritty, in-the-trenches documentary style to his narrative debut. He is ably assisted by legendary cinematographer Robert Richardson (Inglourious Basterds) in depicting the front-line chaos that Colvin routinely imbedded herself in. The result is both a powerful character study and an immersion in a world where the horrors of war are just around the next corner—a world explained to us lucky civilians by fearless reporters like Colvin. 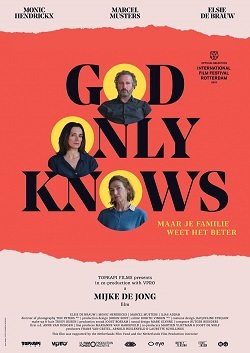 On May 24th and 25th, film lovers can enjoy the best short films produced locally in Brabant. This will be the second edition of the Tilburg Film Festival. Movies begin daily at 11am, so come early and come often! Debit and credit card payments only for movies and food. 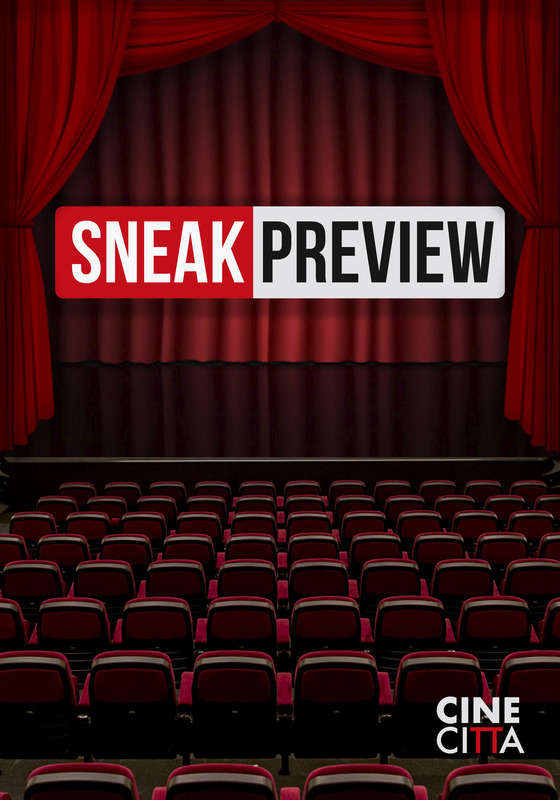 For more information about tickets, reservations, gift cards, special prices, wheelchair access, and parking, click here. Cinecitta presents on Wed April 24th 7:00 pm Sauvage. Every month, Cinecitta presents: Docu Tuesday. During this event, Cinecitta shows a new, sensational documentary.